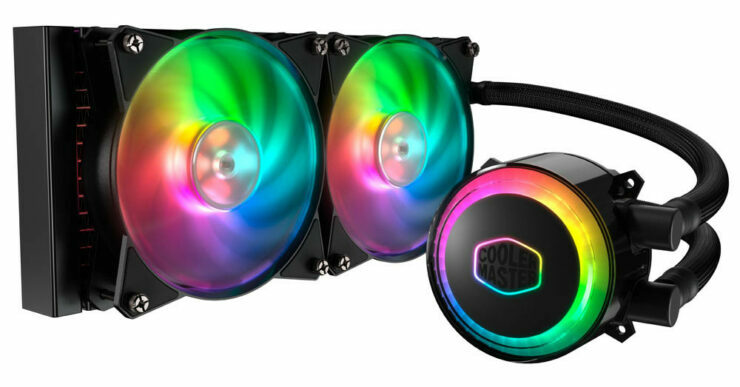 Cooler Master, one of the most well known brands cooling including CPU coolers, computer components and peripherals, has today introduced its first addressable RGB all-in-one (AIO) liquid CPU coolers. 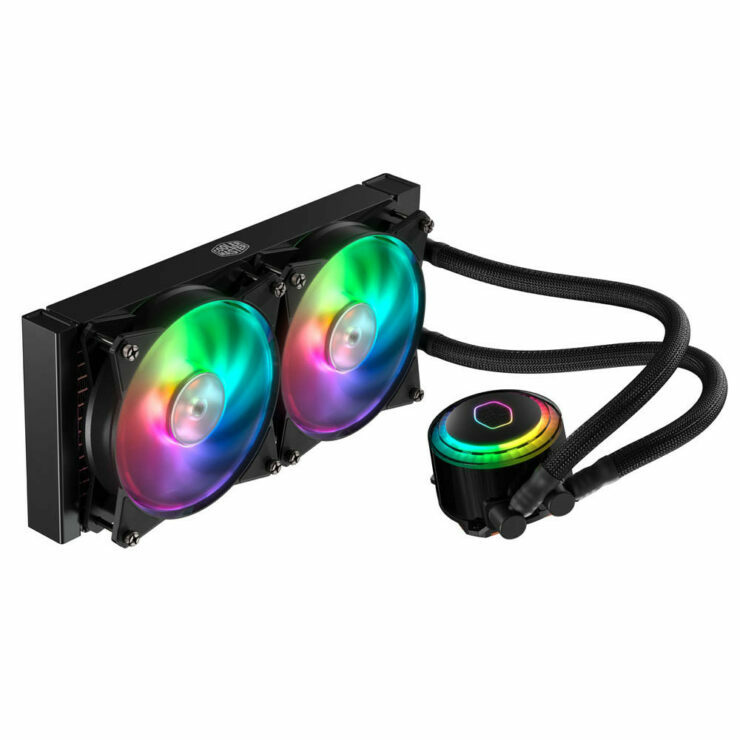 The MasterLiquid ML240R RGB and MasterLiquid ML120R RGB are certified compatible with ASUS, MSI and ASRock motherboards for their respective RGB functionality with Gigabyte conspicuously absent and feature addressable RGB LEDs on both the fans and water block. 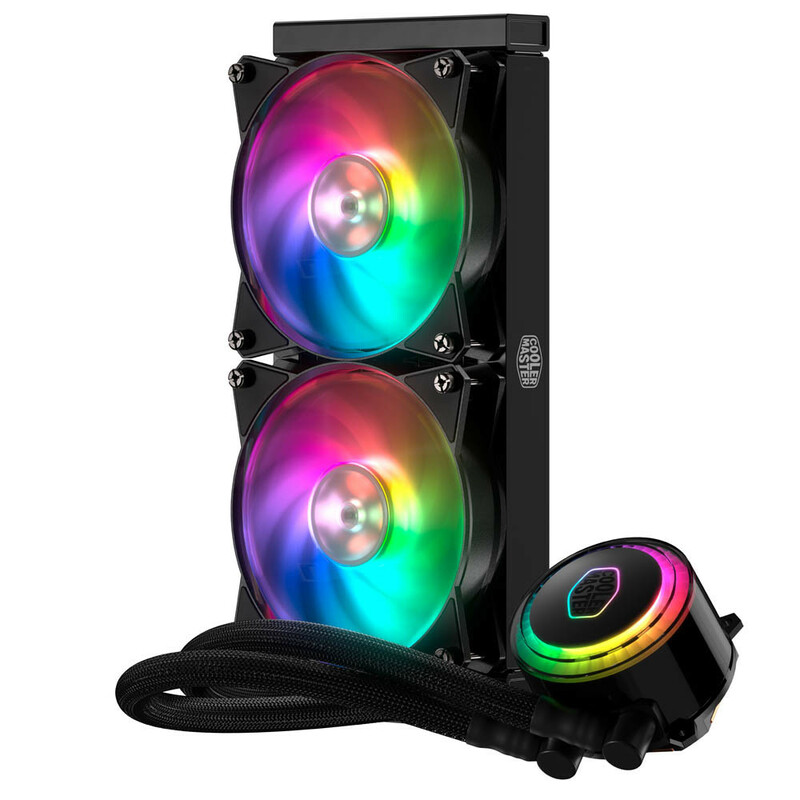 The MasterLiquid ML240R RGB and MasterLiquid ML120R RGB feature a newly designed pump with 12 addressable RGB LEDs on the water block and eight addressable RGB LEDs on each fan, capable of 16.7million color options. Users can easily customize each LED, individually, through the addressable RGB software from ASUS, MSI and ASRock motherboards, or with Cooler Master’s upcoming MasterPlus+ software for complete ambient control. 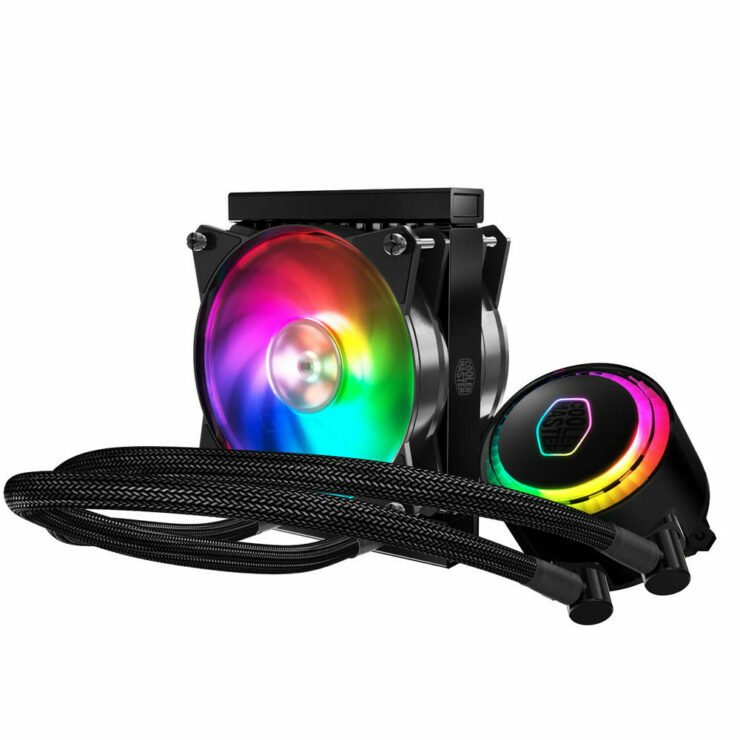 Cooler Master’s MasterLiquid ML240R RGB and ML120R RGB come equipped with a new addressable RGB LED controller for use and compatibility with non-addressable RGB components and easy lighting and mode control. A 3-in-1 addressable RGB splitter is also included in the packaging. 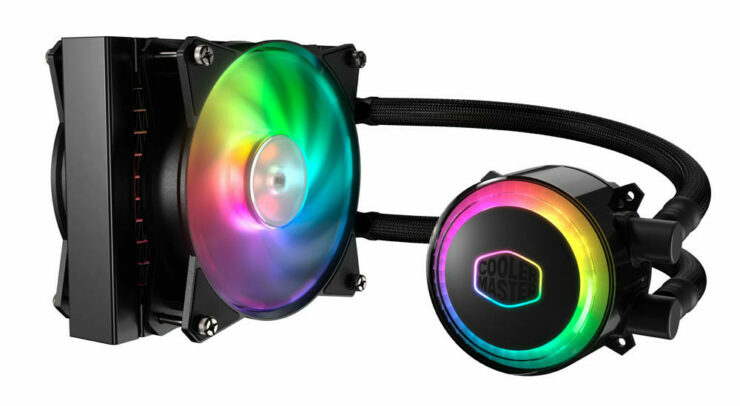 With Cooler Maser designing in-house, the MasterLiquid ML240R RGB and ML120R RGB are constructed with a low-profile, dual chamber pump that separates incoming coolant from the radiator-bound heated coolant. 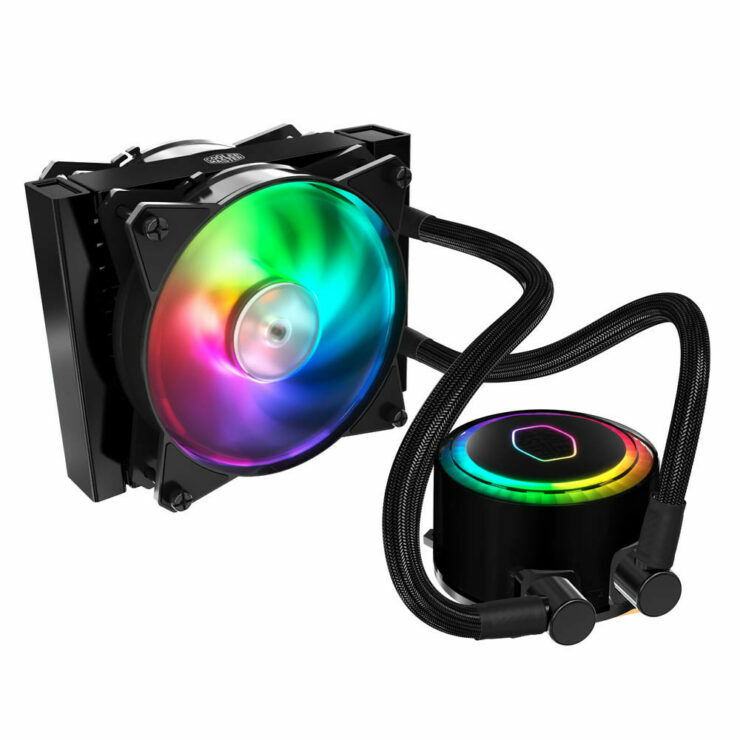 Cooler Master’s unique pump design maximizes CPU cooling results and assists in maintaining ideal system temperatures. In addition, Both the MasterLiquid ML240R RGB and ML120R RGB feature a precision machined microchannel cold plate to quickly dissipate heat, FEP tubing on the interior and sleeved tubing on the exterior for a premium look and extended durability. No Asrock boards are named unfortunately and Gigabyte as mentioned previously is suspiciously absent. (ethics disclaimer: These are affiliate links and we will receive a commission from Amazon/Newegg).